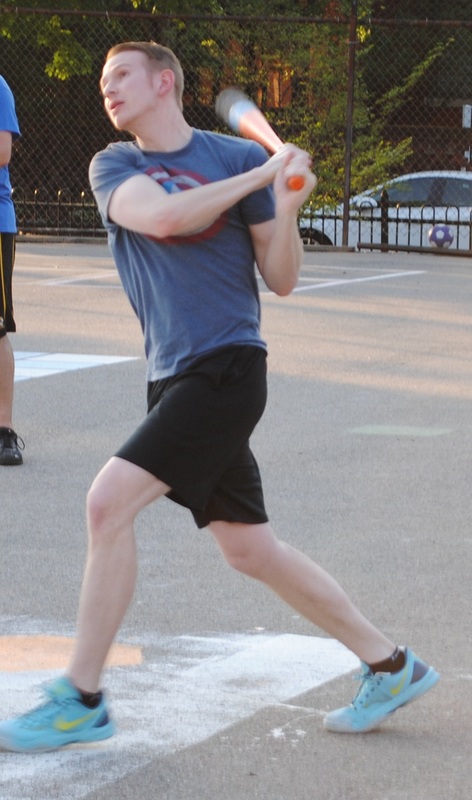 Nate gave Loss Mitigation their first lead with a three-run homer in the fourth. He put them ahead for good with an RBI double in the top of the sixth. Loss Mitigation came from behind multiple times in a 7-6 win in week 3, as Shady Characters just couldn’t put them away. 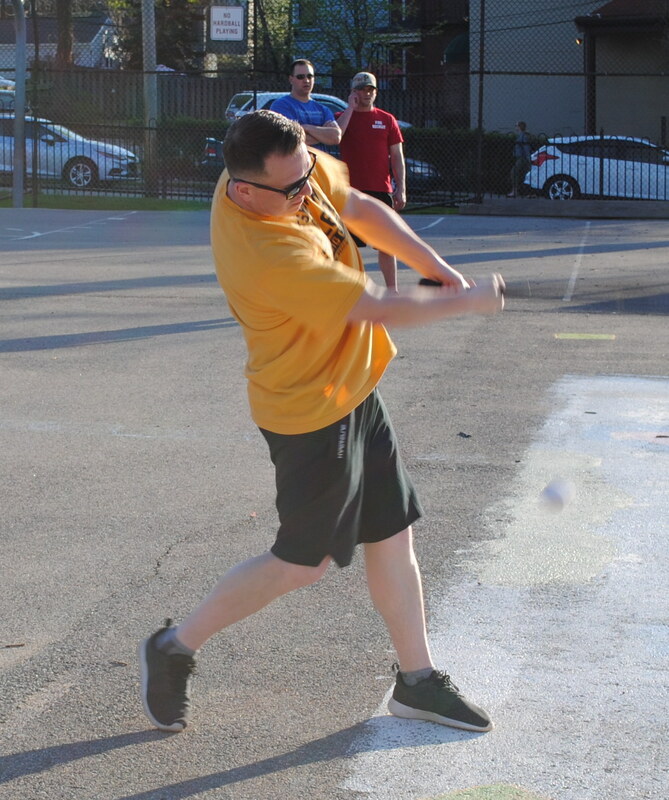 After trailing 4-0 early, Loss Mitigation took the lead mid-game, then lost it, then pulled back ahead in the top of the sixth, when Bob tied the game with a solo homer, and Nate’s RBI double sealed the victory. The win gave Loss Mitigaton a winning record for the first time in 2018. Tom K took the mound for Shady Characters, and after allowing a one-out double to Mike in the top of the first, he retired Nate to strand the runner, ending the inning. Norris started for Loss Mitigation, and Shady Characters got to him early, taking a lead in the bottom of the first. Erich led off the game with his first career lead off homer, making the score 1-0. 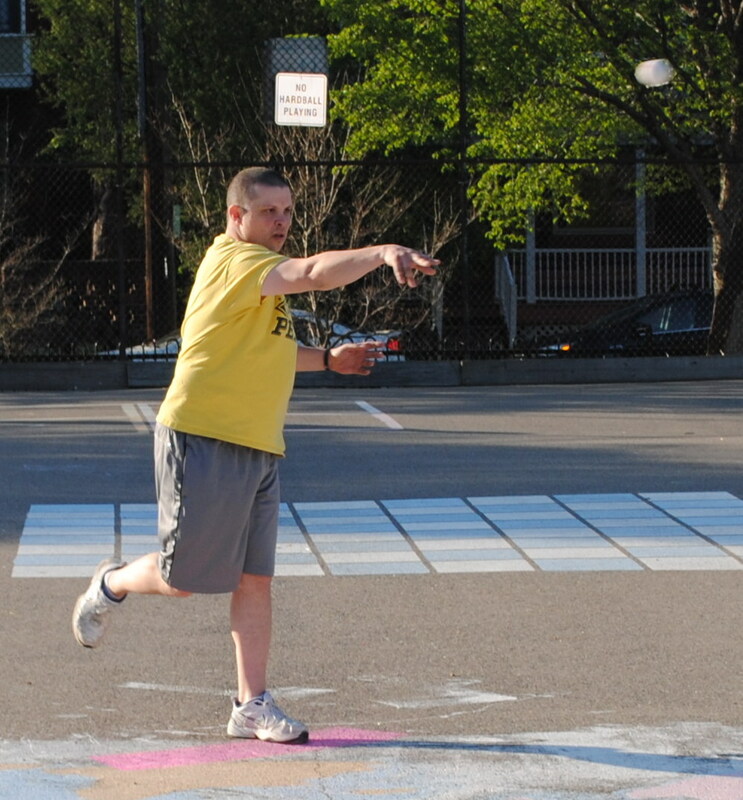 Two batters later, Tom W also homered, and Shady Characters led 2-0. Tom K followed with a single, and Erich’s second homer of the inning, a two-run shot to right-center, put Shady Characters ahead 4-0. Norris retired Dylan to end the inning, and Loss Mitigation trailed by four runs. Tom W connects on a solo homer in the top of the first. Loss Mitigation got on the board in the top of the second. Norris led off with a single, and he moved from first to third on Bob’s double. With runners on second and third and no outs, Mike flew out to center, but Norris tagged and scored on the play, and the sacrifice fly cut the score to 4-1. Nate then singled, scoring Bob, and Loss Mitigation trailed 4-2. Tom K retired Norris to end the inning. Tom W led off the bottom of the second with a single, but Norris avoided further damage, retiring Tom K and Erich to end the inning, and the score remained 4-2. Bob had four hits in the game, including a single, two doubles, and the late, game-tying homer. Tom K allowed a one-out single to Mike in the top of the third, but no runs. Norris rolled through the bottom of the third in order, and the score was 4-2 through three innings. Loss Mitigation would take the lead for the first time in the game in the top of the fourth. Norris singled to start the inning, and Bob followed with a single to put runners on first and second. Two batters later, Nate hit a three-run homer, giving Loss Mitigation a 5-4 lead. Tom K retired Norris to end the inning, and Shady Characters trailed by a run. It wouldn’t take long for Shady Characters to reclaim the lead. Tom K started the bottom of the fourth with a double, and Erich drove him in with his third homer of the game. 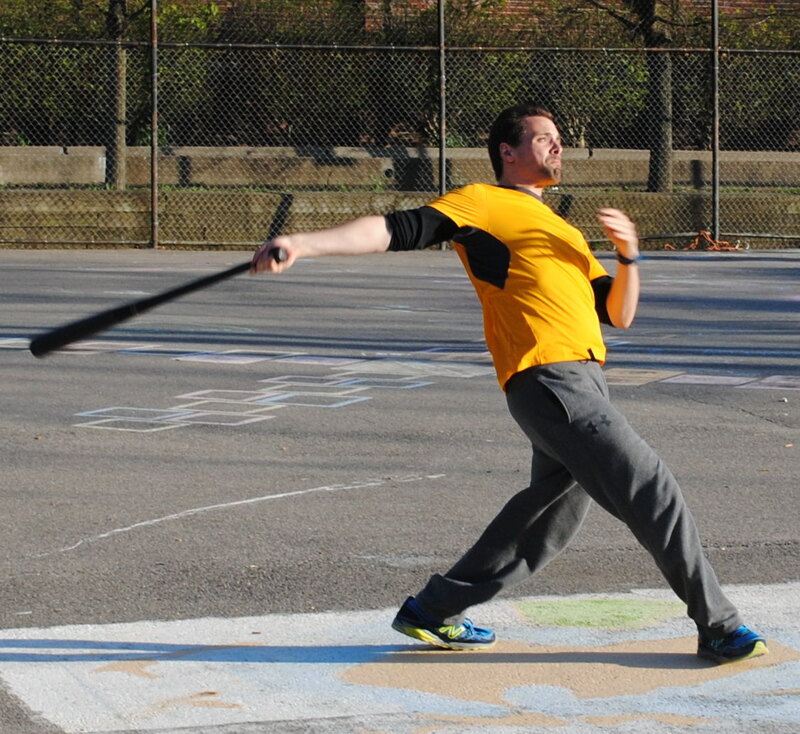 The two-run shot put Shady Characters ahead 6-5. Norris retired Dylan and Tom W to end the inning, and Shady Characters led by a run. 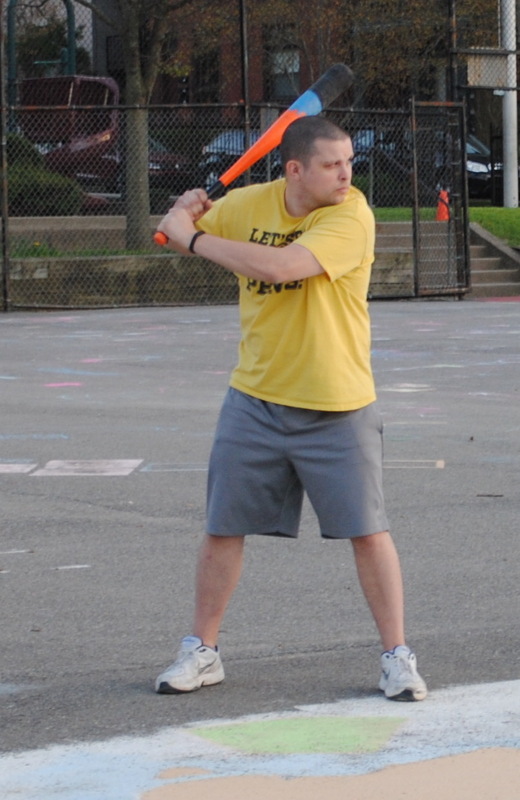 Erich led Shady Characters, hitting two homers in the first inning and a third bomb in the fourth. He drove in five of the six Shady Characters’ runs. Bob started the top of the fifth with a double, but was caught out trying to extend the hit into a triple. 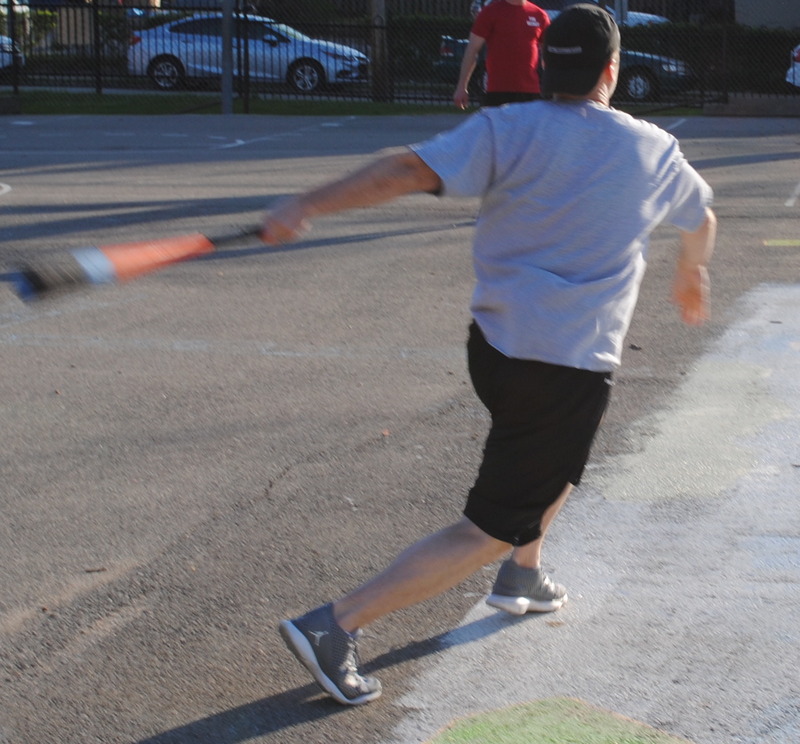 Mike then singled, but Tom K got out of the inning, retiring Nate to strand the runner, and the score remained 6-5. Norris retired the side in order in the bottom of the fifth, and Loss Mitigation trailed 6-5 heading into their final at-bat. Lost Mitigation celebrates at the plate after Bob’s solo homer that tied the game in the top of the sixth. 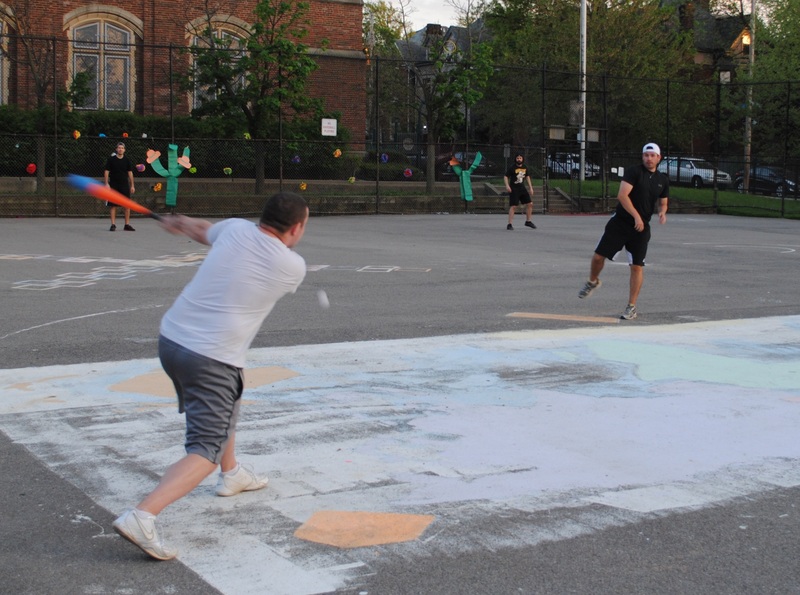 Tom K retired Norris for the first out in the top of the sixth, and Shady Characters were one out way from victory. Bob came to the plate having reached base safely in three of five at-bats, but having been kept in the park after hitting three homers in his previous game. Tom K’s luck ran out, as Bob crunched a solo homer to right, tying the game at 6-6. Mike followed with a double, putting the go-ahead run in scoring position. Nate came through for the second time in the game for Loss Mitigation, once again giving them a lead. 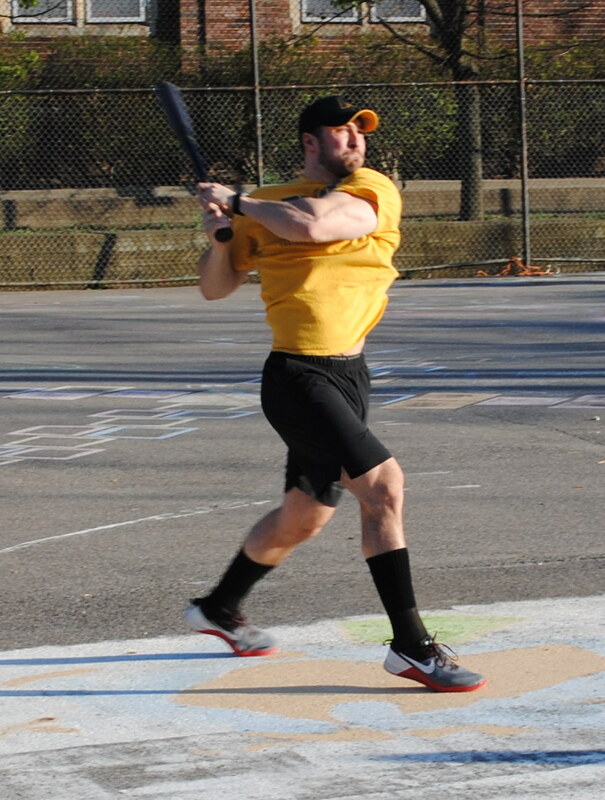 His one-out RBI double scored Mike from second, and Loss Mitigation led 7-6. 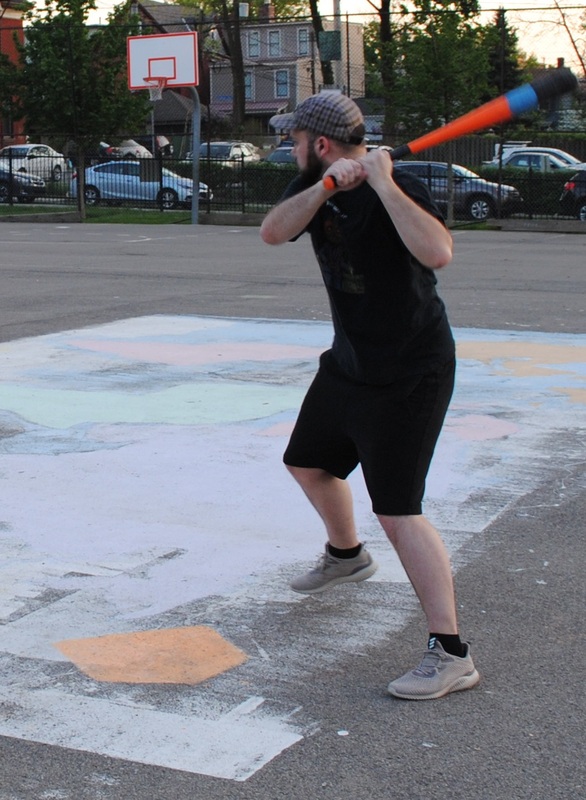 Tom K retired Norris to end the inning, but after being one out away from victory, Shady Characters trailed Loss Mitigation by a run heading into the bottom of the sixth. Norris made quick work of Shady Characters in the final frame, retiring Dylan and Tom W in order, giving Loss Mitigation a 7-6 win. The win moved Loss Mitigation to 3-2 on the season, and with the loss, Shady Characters dropped to 3-2. – Norris earned the win for Loss Mitigation, allowing six runs on seven hits and striking out one in six innings pitched. 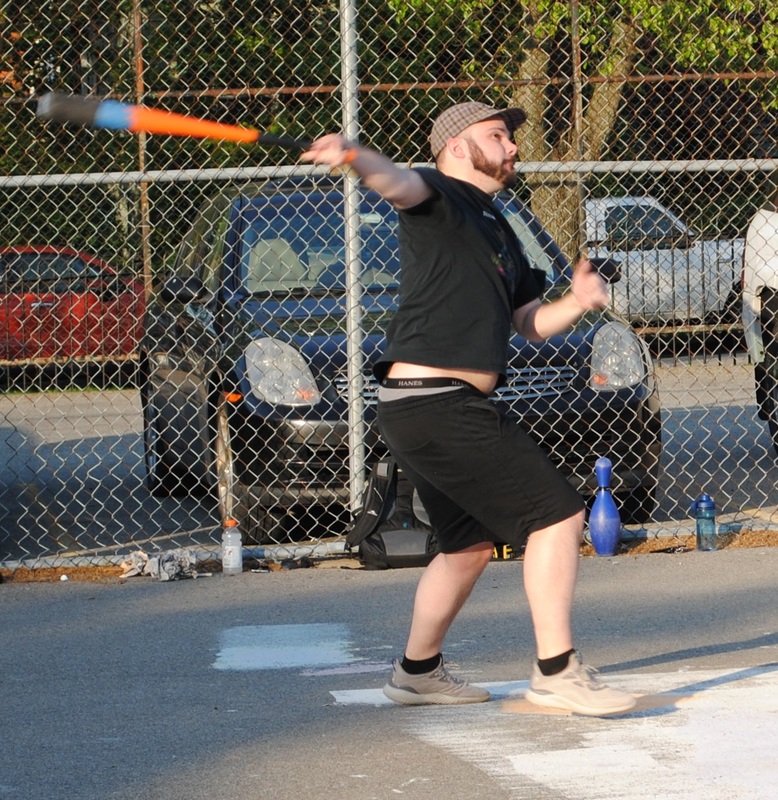 – Tom K took the loss for Shady Characters, giving up seven runs on thirteen hits in six innings. – Bob led Loss Mitigation on offense, going 4-for-6 with a single, two doubles, a home run, three runs scored, and an RBI. 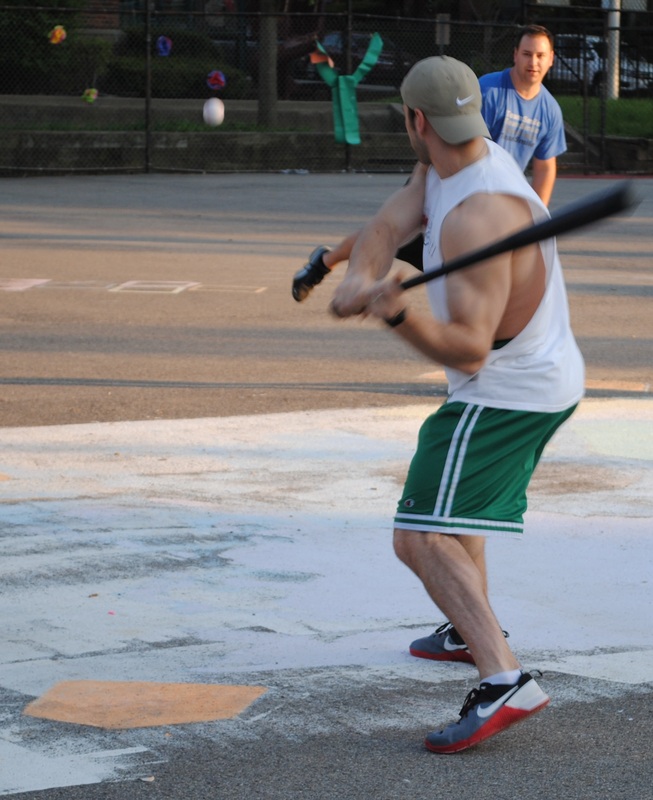 – Erich led Shady Characters on the plate, going 3-for-5 with three home runs, three runs scored, and five RBI. 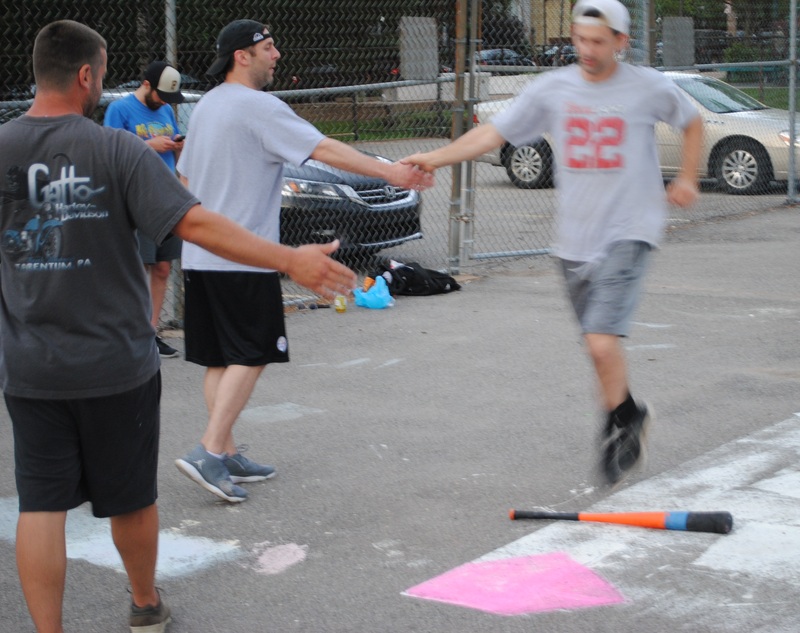 After trailing 6-2 midway through their week two matchup with the Porkswords, Shady Characters scored five unanswered runs over the final three innings, punctuated by Tom W’s game-winning RBI double in the sixth, to win 7-6 and move to 3-0 on the season. 2017 EWL Wiffler of the Year, Erich, scored the game-winning run and continued to dominate, going 4-for-5 with two doubles, two home runs, and five RBI to lead Shady Characters. Tom K pitched the complete game win, becoming the first EWL pitcher with multiple wins in 2018. Following what was likely the worst outing of his EWL career, Miller took the mound for the Porkswords in his second start of the young season, and he fell behind early. Tom W led off the game with a double, and two batters later, Dylan singled to put runners on the corners with one out. Erich cleared the bases with an RBI double, and Shady Characters led 2-0. Miller then retired Tom W to end the inning. 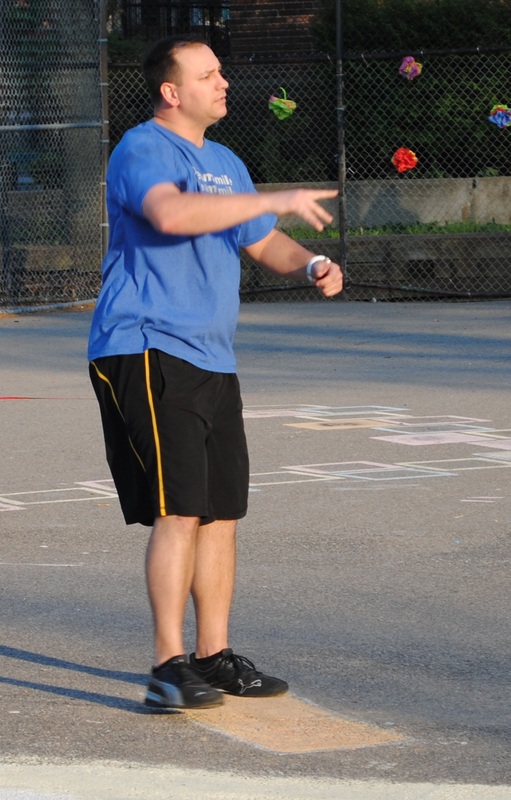 Steve connects on one of his doubles in the Porkswords loss. 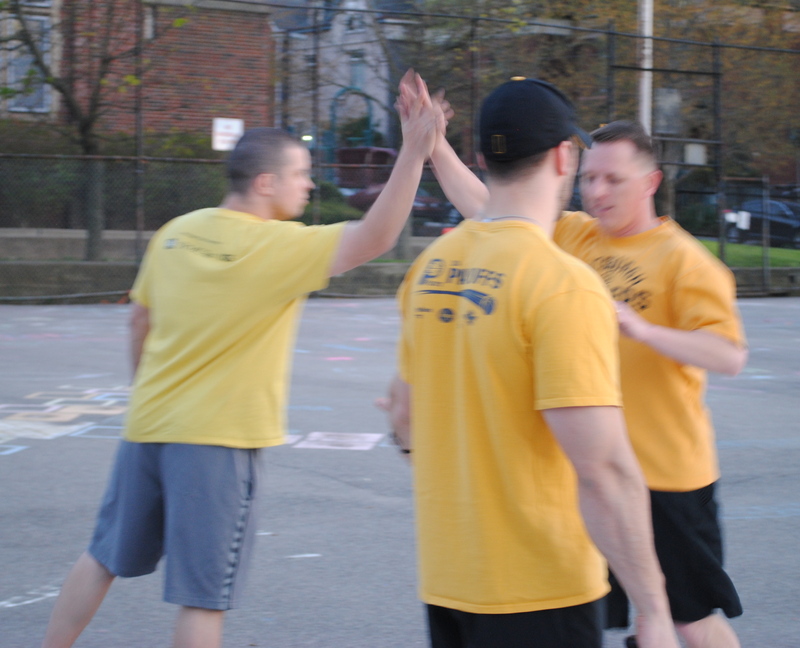 The Porkswords bounced right back in the bottom of the first, tying the game. Josh started the inning with a double, and two batters later, Dustin crushed a two-run blast to left, and the score was 2-2. Miller settled down on the mound in the top of the second, and after Dylan singled with one out, Erich was retired to strand the runner and end the inning. He would get run support in the bottom half of the second. John reached base safely in his third consecutive at-bat to start his EWL career, hitting a triple to start the inning. 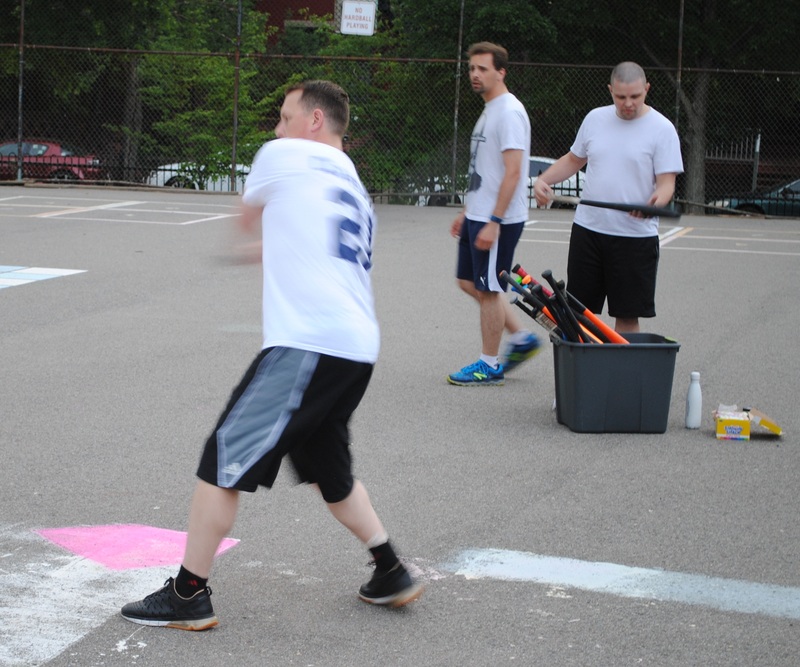 Two batters later, Steve drove him in with an RBI double that put the Porkswords ahead 3-2. Dustin followed with an RBI single to score Steve, and the score was 4-2. Miller then doubled to score Dustin, and John collected another hit, an RBI single that scored Miller to push the score to 6-2. Tom K finally escaped the inning, retiring Josh for the second out. Tom W led off the top of the third with a single, but Shady Characters couldn’t rally, as Miller retired the next two batters to strand the runner and end the inning. Tom K matched him in the bottom of the third, and the score remained 6-2. 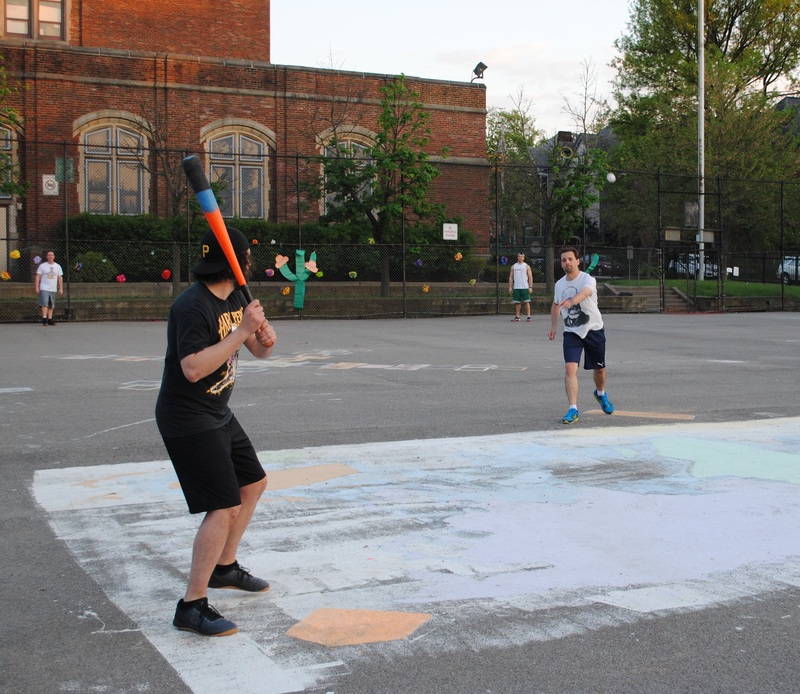 Shady Characters started their rally in the top of the fourth, as their bats came alive. Erich led off the inning with a double, and Tom W followed with an RBI single. Tom was caught in between first and second on the play, recording the first out, but the deficit was cut to 6-3. Tom K and Dylan each singled, and Erich once again cleared the bases with a three-run blast to right that tied the game at 6-6. Miller then retired Tom W to end the inning, but the four run lead had been blown and the game was tied. Miller started the bottom of the fourth with a double, but the Porkswords couldn’t plate him, as Tom K retired John and Josh to strand the runner and end the inning. Shady Characters went down in order in the top of the fifth, as did the Porkswords, and the game was tied at 6-6 entering the final inning. Erich doubled for the third time in the game to start the top of the sixth, and Shady Characters pulled back ahead when Tom hit an RBI double. The hit scored Erich and pushed the score to 7-6. 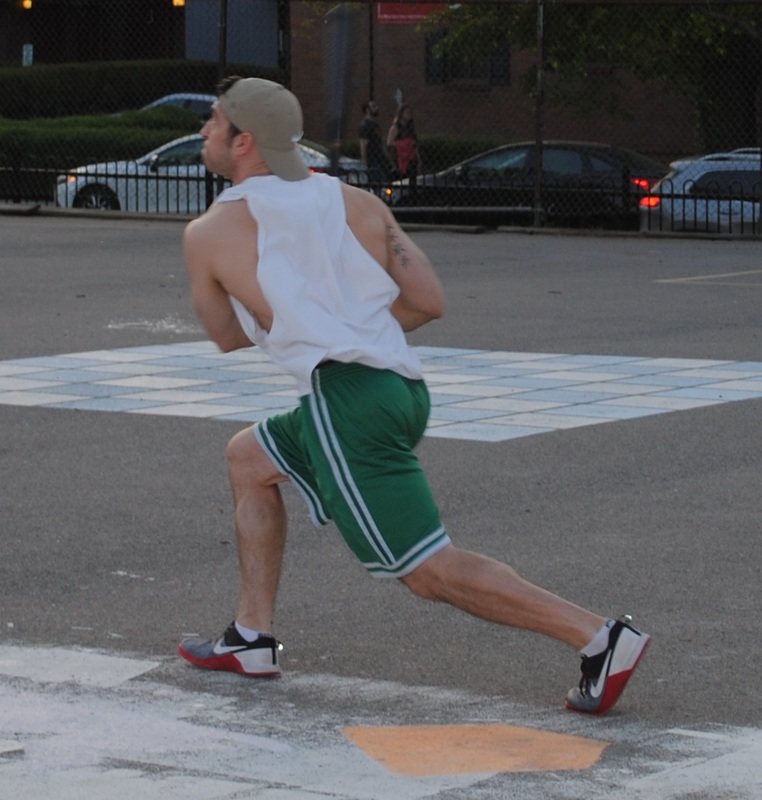 Miller avoided further damage, retiring Tom K and Dylan to strand Tom W at third, and the Porkswords trailed by a run. Miller led off the bottom of the sixth with a single, putting the tying run on base. John then singled, but Miller was forced out at second for the first out of the inning. Josh was at the plate as the winning run, with John, the tying run, on first. But Tom K cracked down, getting Josh to ground out to right for the second out of the inning, ending the game and giving Shady Characters a 7-6 come-from-behind win. 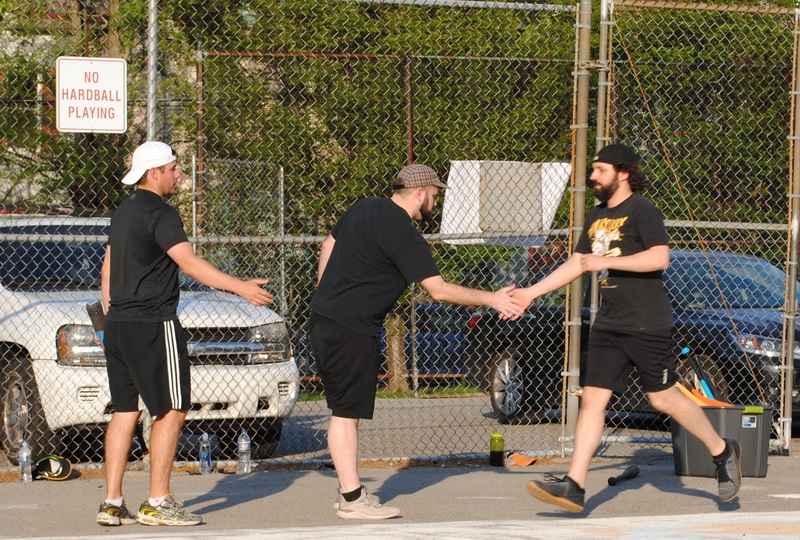 The win moved Shady Characters to 3-0 on the season, and the loss dropped the Porkswords to 1-2. – Erich led Shady Characters on offense, going 4-for-5 with two doubles, two home runs, three runs scored, and five RBI. – Tom W also contributed four hits for Shady Characters, going 4-for-6 with two singles, two doubles, a run scored, and two RBI. – Miller and John each had three hits for the Porkswords. Miller went 3-for-4 with a single, two doubles, and a run scored. John went 3-for-4 with two singles, a triple, a run scored, and an RBI. 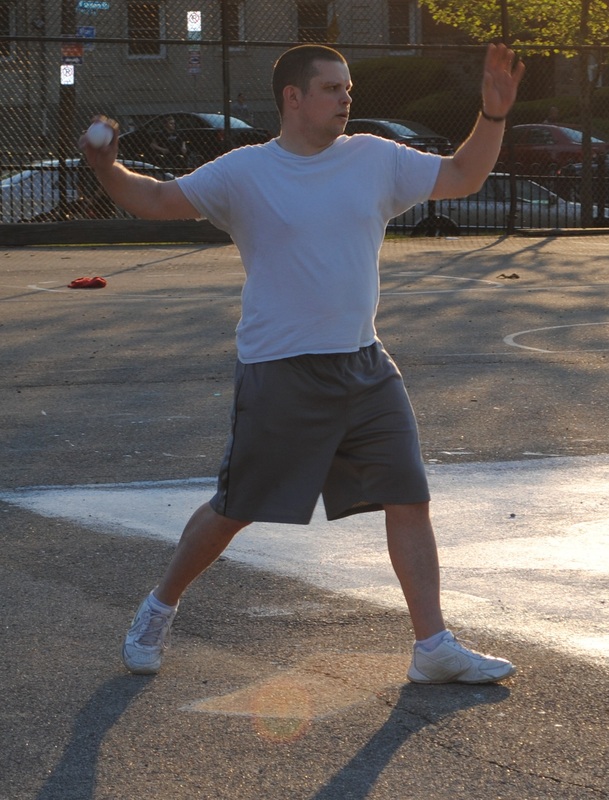 – Tom K earned the complete game win for Shady Characters, giving up six runs on eleven hits in six innings. – Miller took the loss for the Porkswords, allowing seven runs on twelve hits in six innings. 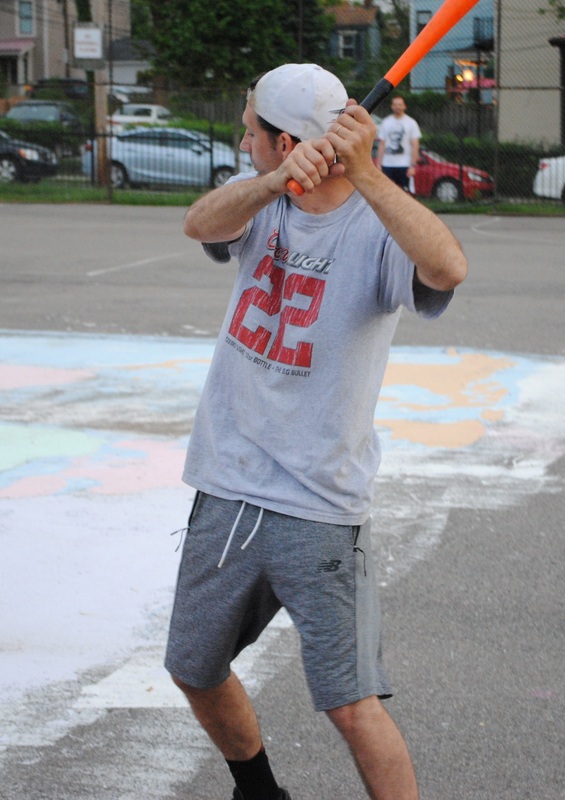 2017 EWL MVP Erich picked up where he left off, starting the 2018 season with two home runs and five runs batted in, carrying his new team, Shady Characters, to a 10-3 Opening Day win over Loss Mitigation, led by 2013, ’14, ’15, and ’16 MVP Bob. Tom W, one of Shady Characters’ three rookies also went 3-for-5 in the game, and Tom K, also a rookie, pitched the complete game win. Norris, who has made several sporadic appearances for Questionable Outfit in the past, started on the mound for Loss Mitigation. Dylan, making his EWL debut for Shady Characters, singled in his first career at-bat in the top of the first, and two batters later, Tom W drove him in with his first career hit, an RBI triple that made the score 1-0. Tom K took the mound for Shady Characters, and after giving up a leadoff single to Bob, he retired the next two batters, ending the inning. Norris retired Shady Characters in order in the top of the second, and Tom K matched him in the bottom of the second, as the score remained 1-0. Shady Characters extended their lead in the top of the third when Tom W led off with a double, and the next batter, Erich, crushed a two-run blast to right field, making the score 3-0. Loss Mitigation got on the board in the bottom of the third. Mike led off with a single and moved to third on a Nate double, putting two runners in scoring position. Norris grounded out to left for the first out of the inning, but Mike scored on the play, cutting the Shady Characters lead to 3-1. Tom K then retired Bob to strand Nate at third, ending the inning. Shady Characters made up the run in the top of the fourth. Erich doubled with one out, and he scored from second on Dylan’s RBI single that made the score 4-1. Mike led off the bottom of the fourth with a double, but Tom K stranded him at second, retiring the next two batters to end the inning. Norris retired the Shady Characters side in order in the top of the fifth. and Loss Mitigation narrowed the deficit in the bottom half of the inning. Bob led off with a solo homer, and Mike followed with a solo shot. The back-to-back homers cut the score to 4-3 and pulled Loss Mitigation within a run. Two batters later, Norris hit a one-out double to put the tying run in scoring position, but Tom K maintained the lead, retiring Bob to strand the runner and end the inning. Up a run heading into the final frame, Shady Characters added a few insurance runs and increased their lead. Each of the Toms singled with one out, putting two runners on for Erich, who crushed a three-run bomb, making the score 7-3. Norris retired Dylan to end the inning, and Loss Mitigation trailed by four. 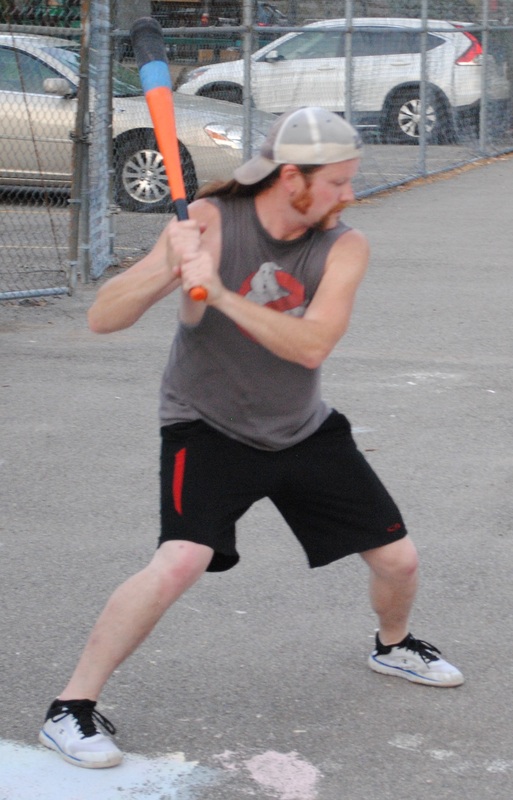 Loss Mitigation made a run in the bottom of the sixth, starting with Mike, who singled to lead off. 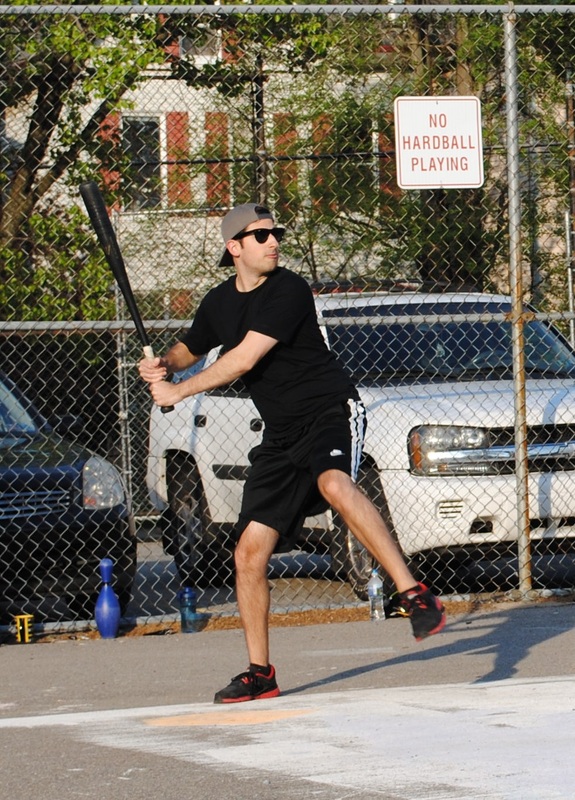 Nate, known for being one of the most clutch hitters in league history, hit a two-run homer to make the score 7-5. 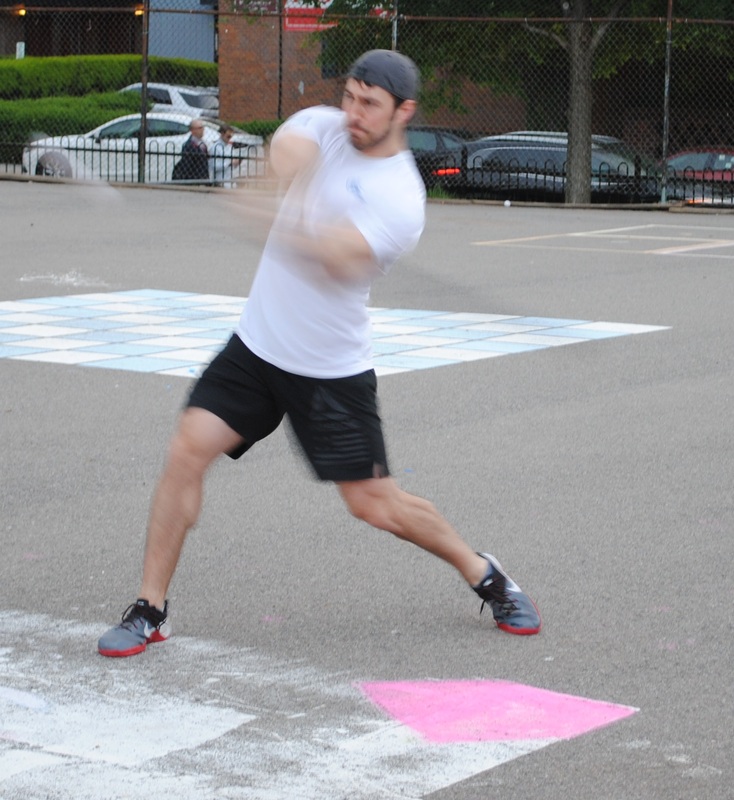 Norris followed with a single, and two batters later, Mike hit a single to put runners on the corners with the tying run on base and the winning run at the plate. Nate came to the plate with a chance to drive in five runs in the inning on two homers, including a walk-off, but he couldn’t repeat the magic. 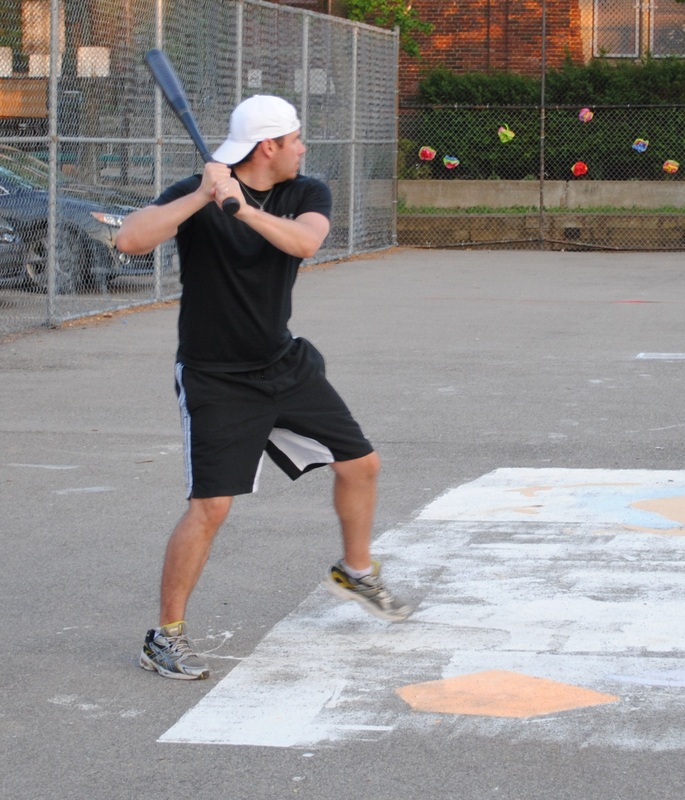 Tom K retired him to strand both runners, ending the inning and the game with Shady Characters holding on to win 7-5. The win moved Shady Characters to 1-0 on the season, and Loss Mitigation dropped to 0-1 with the loss. 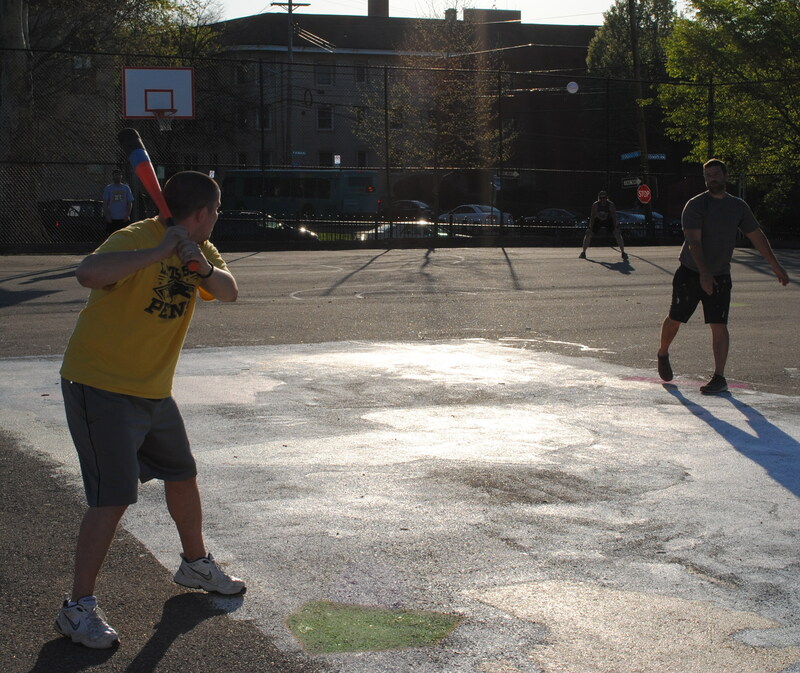 – Erich led Shady Characters at the plate, going 3-for-5 with a double, two home runs, three runs scored, and five RBI. 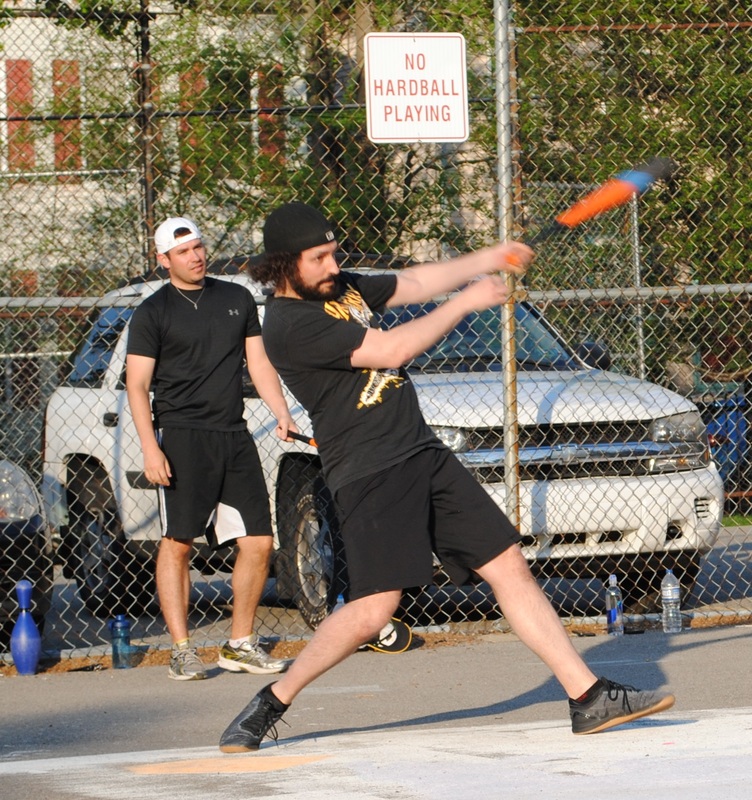 – Tom W also went 3-for-5 for Shady Characters, with a single, a double, a triple, two runs scored, and an RBI. – Mike led Loss Mitigation on offense, going 5-for-6 with three singles, a double, a home run, three runs scored, and an RBI. – Tom K pitched the complete game win for Shady Characters, allowing five runs on eleven hits in six innings. – Norris took the loss for Loss Mitigation, giving up seven runs on nine hits in six innings.